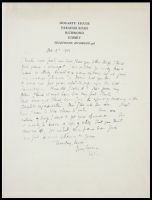 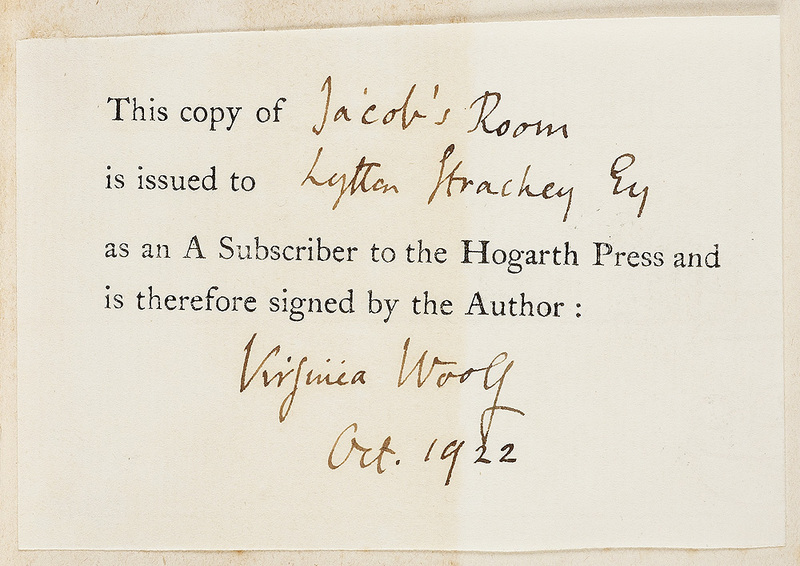 Jacob’s Room was Virginia Woolf’s first novel to be published by the Hogarth Press. 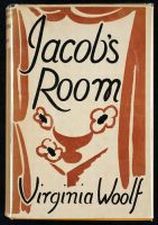 A more fragmented novel than her earlier two, Jacob’s Room was published the same year as T. S. Eliot’s The Waste Land and James Joyce’s Ulysses. 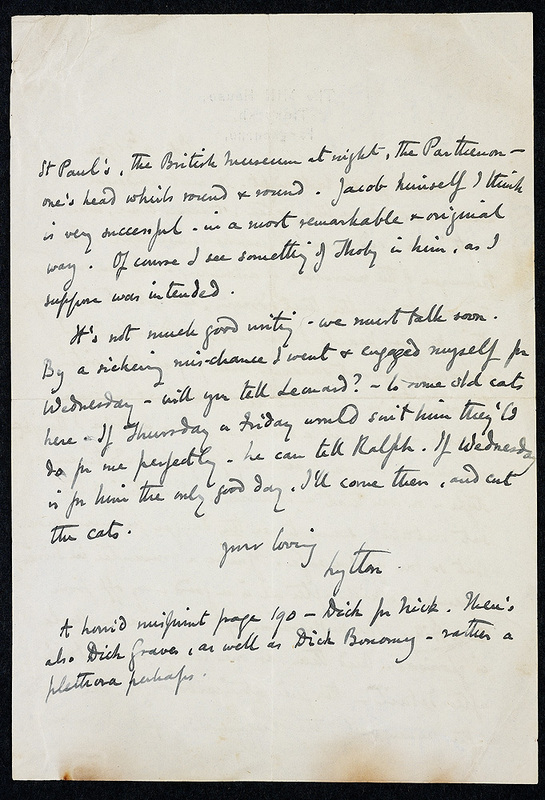 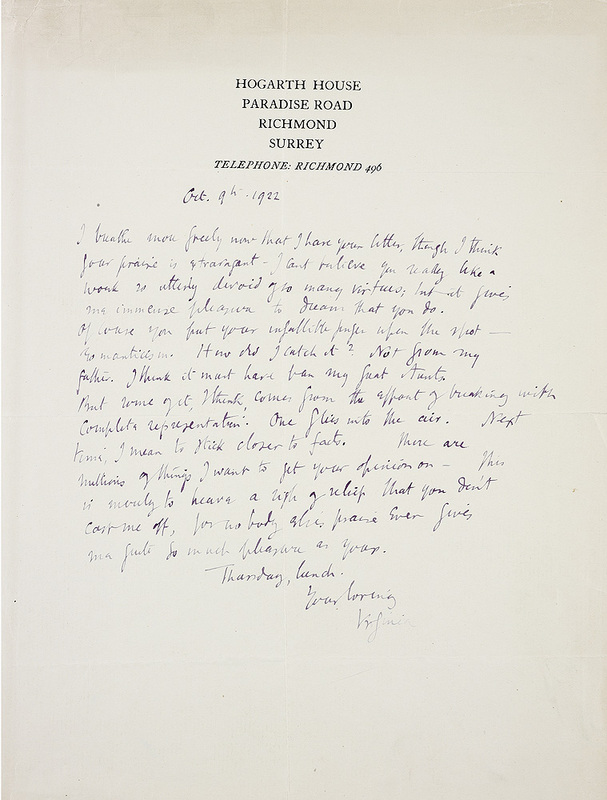 Reviews by contemporary writers, such as E. M. Forster, are bound in at the end of Lytton Strachey’s copy of the novel, shown here; most are complimentary. 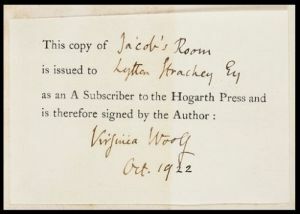 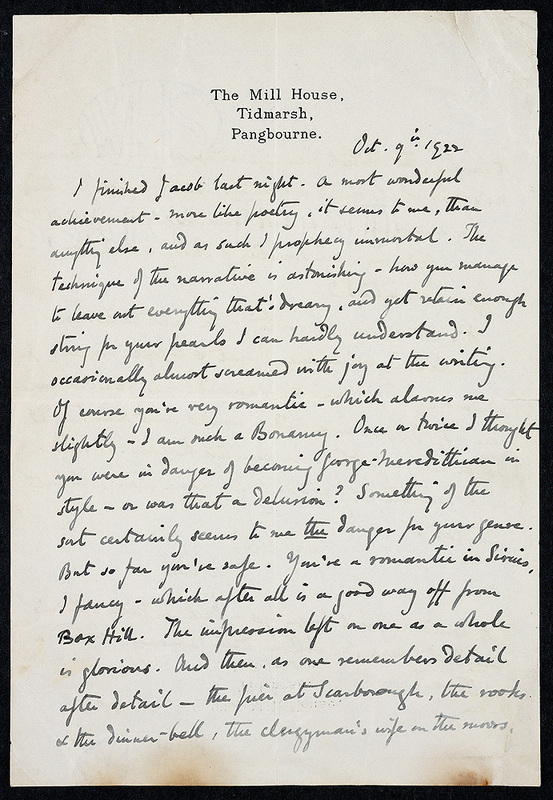 Publishing her own works gave Virginia Woolf the control she needed to write experimentally. 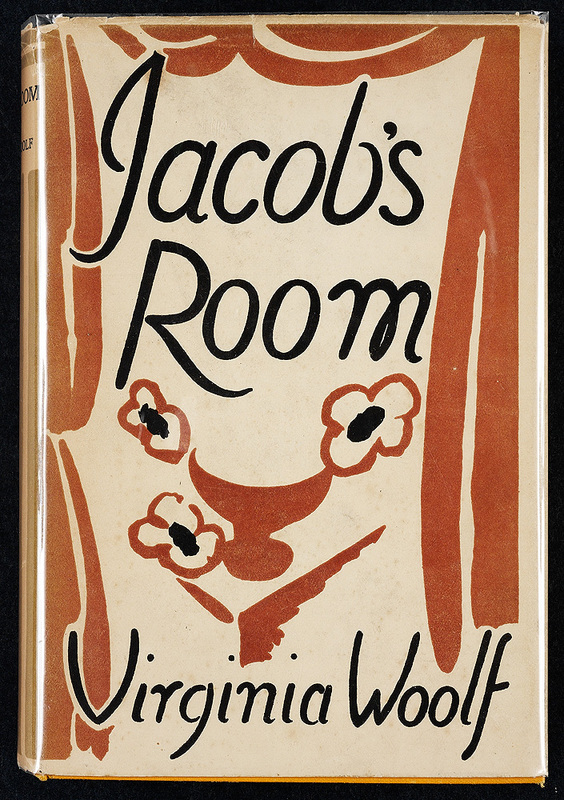 Other publishers were not ready for her modernist style or feminist sensibility.